The rapid pace of change in the fleet sector means company car policy reviews are now “critical” – with “doing nothing” not an option. So said Craig McNaughton, corporate director of Lex Autolease, as he told delegates at the ACFO spring seminar in Birmingham, that the sector was undergoing change at a “scale and pace few, if any, have seen before”. McNaughton said key challenges facing fleets included the introduction of the Worldwide harmonised Light vehicles Test Procedure (WLTP), diesel industry issues, increasing Benefit-in-Kind taxation and a lack of clarity about the post-April 2020 burden, the lease accounting standard changes from 1 January 2019, and the introduction of Clean Air Zones in towns and cities nationwide. 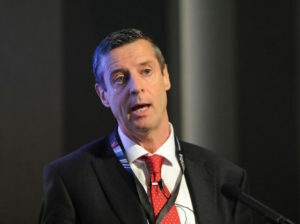 Although McNaughton said some fleets were putting vehicle ordering on hold and extending lease terms to buy themselves time to work out what the impact of the changes were, the changes were putting the focus on fleet flexibility via a “blended fuel policy” embracing the cleanest and most efficient diesel engines, ultra-low petrol models, plug-in hybrids and 100% electric vehicles. He claimed that “company cars still remain the best environmental choice for the UK”, warning that employees who opted out of schemes in favour of a cash option could choose to drive older vehicles with higher emissions – and also suggested that businesses that allowed ‘grey fleet’ usage could see costs increase in comparison with employees driving the most efficient company cars with the introduction of Clean Air Zones. That was because own-car drivers would expect to claim back through expenses toxicity charges when they entered urban Clean Air Zones in “dirty” cars. And McNaughton also warned about the risk issues with a switch to drivers using grey fleet vehicles.